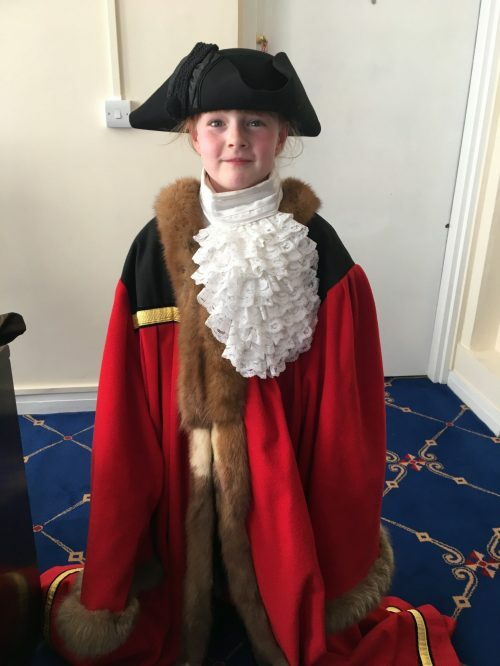 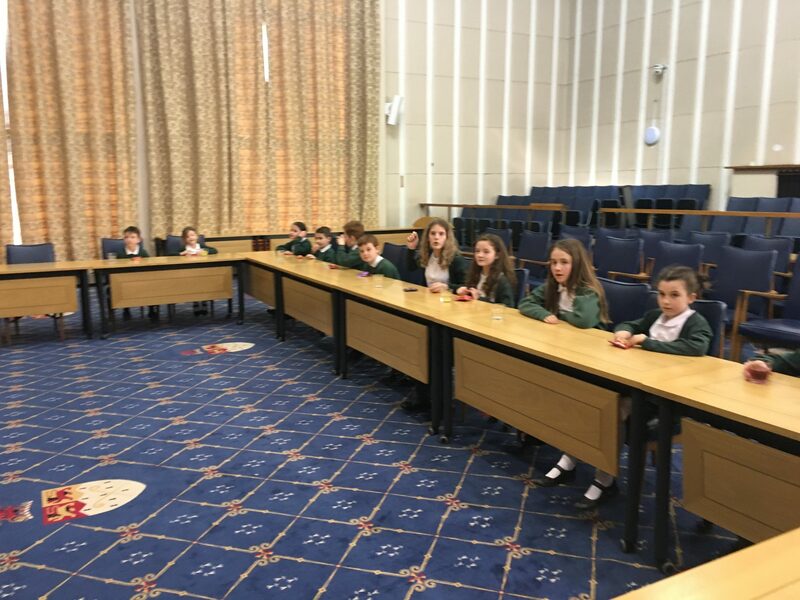 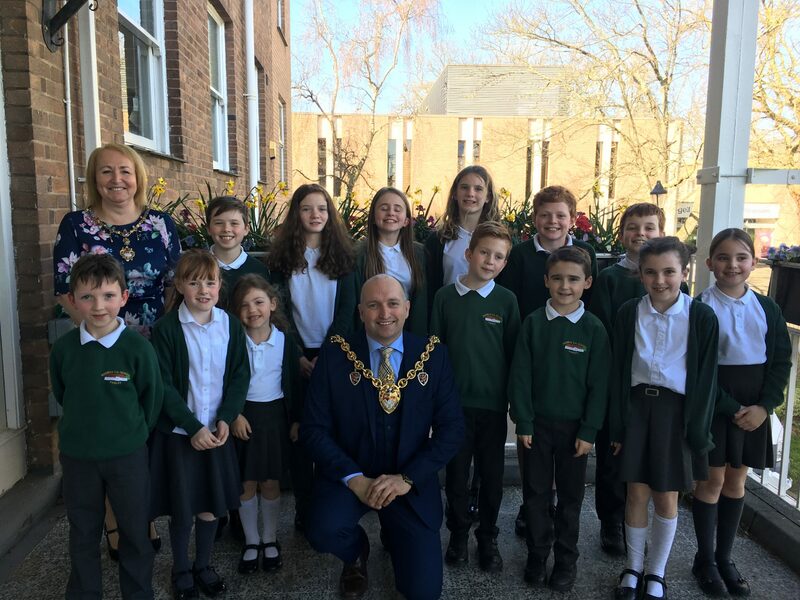 On Monday 25th March the School Council had the privilege of visiting the Mayors Parlour in the Guild Hall Wrexham. 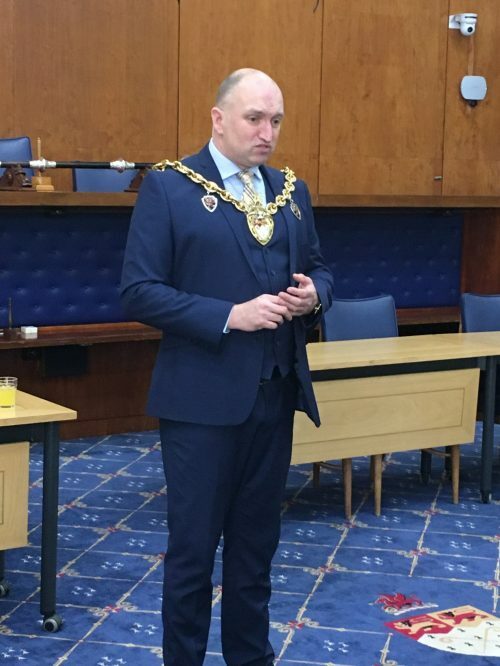 We arrived to drinks and biscuits. We were then escorted to the council chamber where the county councillors have their meetings. 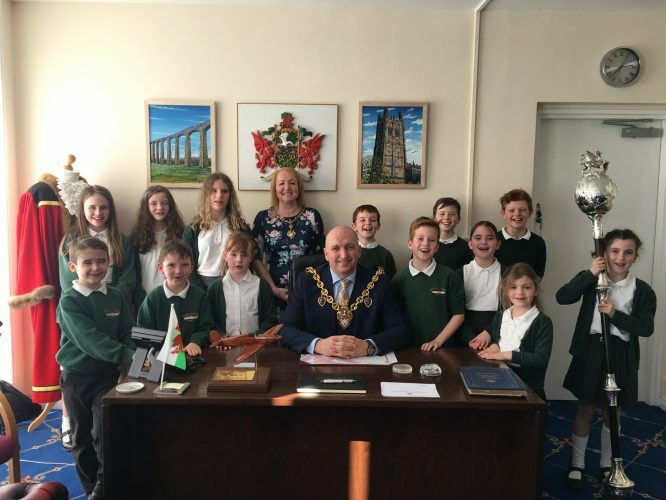 The mayor explained his role and the role of his assistant, he also told us the history about his chain and the chain of the Mayoress. 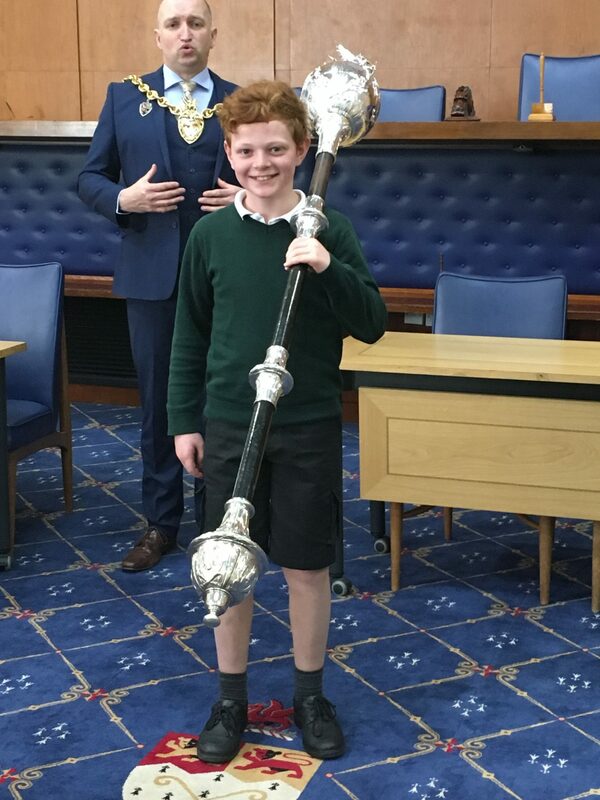 We then proceeded into his parlour where the Mayor told us some of the history of Wrexham. 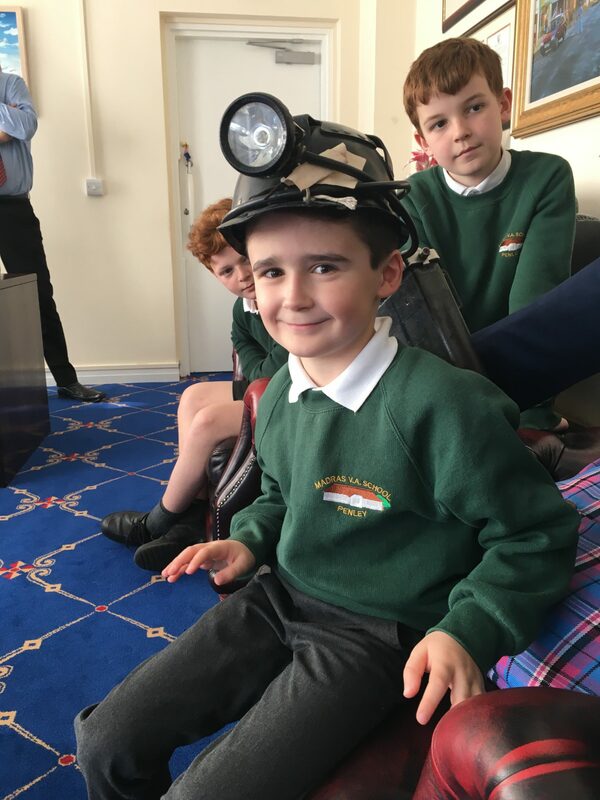 The School Council thoroughly enjoyed their visit and brought back some ideas for our own council meetings.